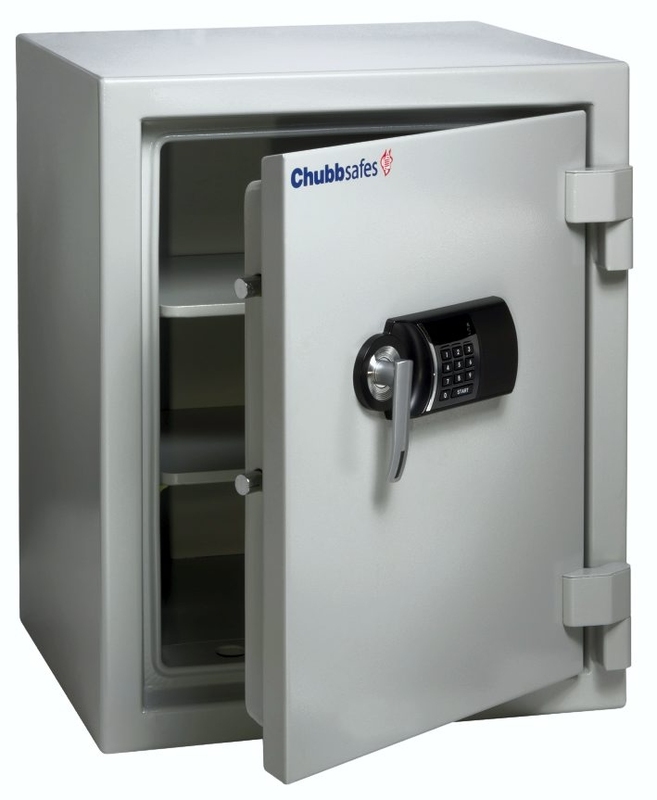 The Chubbsafes Executive is one of the few safes on the market to be tested to two fire resistance standards. 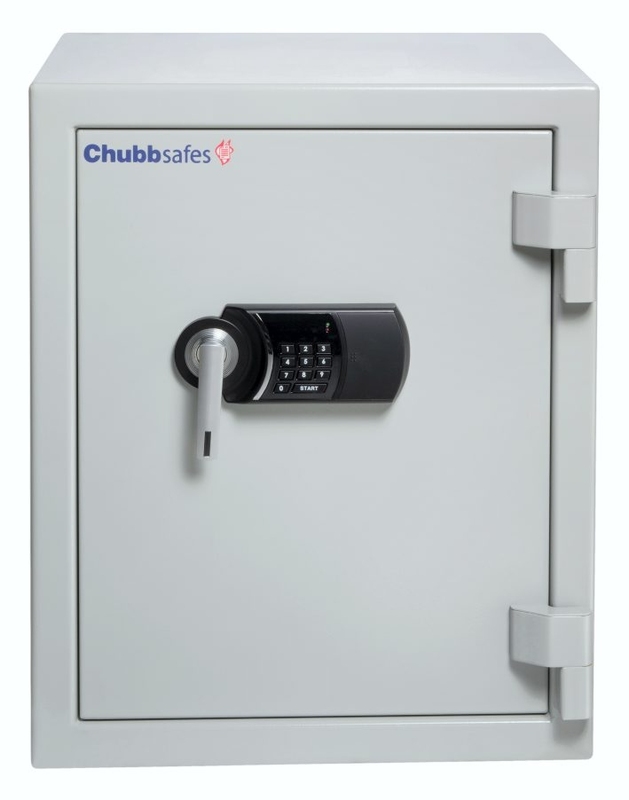 It offers a certified 60 minutes of protection according to both the NT FIRE 017 Paper standard and the UL72 Class 350 standard. 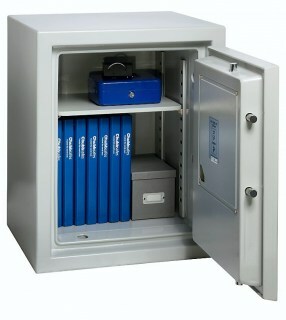 This means it will protect papers and documents from temperatures up to 945° Celsius. Perfect for home or business use, the Executive can be used to store any items capable of handling temperatures up to 177° Celsius. Above this temperature, papers and documents will char. The Executive is designed with thick walls and a special fire resistant barrier to maintain an internal temperature below this point during even the hottest of fires. 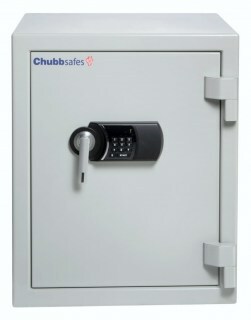 For security, the Executive comes with an anchoring kit that can be used to fix the safe to the floor through its base. 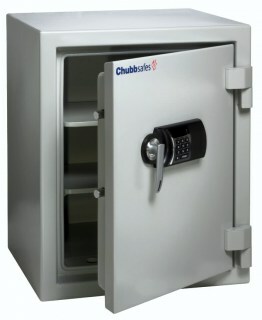 The 66mm thick door is secured by strong boltwork. Both key locking and electronic locking are available. 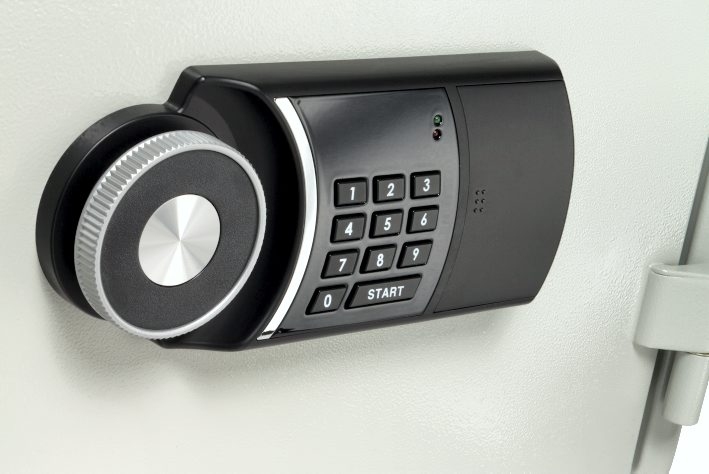 Four different models are available, each supplied with a variety of internal fittings. Models 15 and 25 come with a pull out tray. Model 40 features a tray and shelf, while Model 65 includes a lockable drawer and shelf.